PumpSpy Technology is a revolutionary solution designed to permanently end basement flooding. Using advanced communication devices, PumpSpy Technology constantly monitors all components of a sump pump system. Data is collected, collated and compared to previous readings. Any important message or component failure results in immediate alerts via text messages and emails. PumpSpy Software detects mechanical failures in the early stages, predicting breakdowns before they occur. PumpSpy Technology also features redundant pump systems, so in the event of failure of one component flooding will not occur. PumpSpy Technology uses machine-to-machine (M2M) communication via cellular data connections. The PumpSpy equipment in a home contains a cellular module that connects to PumpSpy’s remote monitoring software. The local equipment and the cloud based software work together to monitor, record and analyze dozens of data categories to ensure your sump pump system is working optimally. 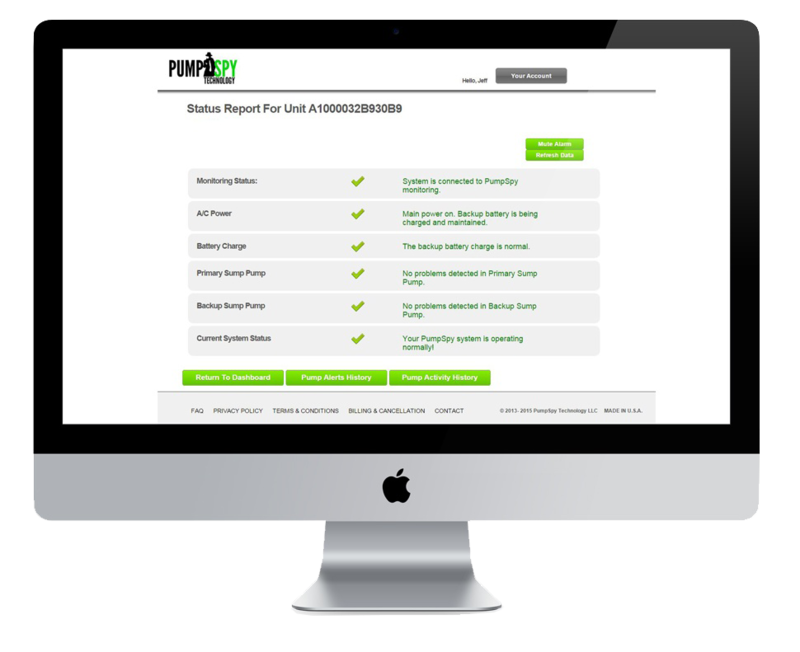 PumpSpy Technology features two-way communication, so each system is tested remotely on a regular basis, automatically. Project: Develop a custom web-portal with individual account, pump data collection, alert notification and subscription management along with a complete back-office dashboard and administration system. New user subscription, online payment and automated renewal. Complete back-office management, monitoring and control interface. Find a software solution designed for you, owned by you. Enjoy your software knowing it was 100% made in the U.S.A.